Note: Lord willing, in morning worship we will complete our Romans 9—11 series this month and resume our series in 1 Samuel, focusing on the life of David in chapters 17-31. In afternoon worship, we will complete our series through the Letters to the Seven Churches (Revelation 2—3) and begin a new extended series of expositions drawn from Spurgeon’s Catechism. No. 119 Lord, how shall I meet thee? Fellowship at the 2010 Keach Conference, September 2010. “Then Samuel took a stone, and set it between Mizpeh and Shen, and called the name of it Ebenezer, saying, Hitherto hath the LORD helped us” (1 Samuel 7:12). “Not unto us, O LORD, not unto us, but unto thy name give glory, for thy mercy, and for thy truth's sake” (Psalm 115:1). This week marks the one year anniversary of the Covenant Worship Service in which, under the Lord’s leading, we formed Christ Reformed Baptist Church. This time last year our first members affirmed our membership covenant and confession of faith and then signed their names to our membership roll. So, we are a one year old church. We had about a nine month gestation period from January-September 2010, and then, on the last Lord’s Day of September 2010, we had our birthday. We can perhaps compare a one year old church to a one year old child. Our body is continuing to learn and to grow. We have taken our first steps but also need some support from time to time. We are learning how to talk, hold ourselves up, and do things on our own. The Lord has continued steadily to grow our body in spirit and number. In September we had our highest monthly average attendance since we began. We have had a steady stream of guest and visitors. Some of these guests have been just passing though. Last month, for example, we had an extended family from North Carolina worship with us, because one of their loved ones was undergoing serious surgery at UVA Hospital. We also had two families from Ohio worship with us on their way to Colonial Williamsburg for homeschool week. Others come from our general area (sometimes driving an hour or more) and are looking for a local church to attend. Last Lord’s Day, three such new families visited for the first time. Though we have no church building and meet in a rented office space, people keep finding us, primarily through our website and sermonaudio site and through personal invitation. There is no doubt that the Lord had a distinct plan and a purpose for raising up our congregation for such a time as this in Charlottesville and Central Virginia. This week we quietly mark this milestone with grateful hearts. (3) all Israel refers to all the elect in ethnic Israel who will eventually come to saving faith in Christ. "A Defense of the Traditional Text" audio available. One correction (there are likely others) I caught when listening back: Tyndale's NT was completed in 1525 not 1522. We sent out the July-August-September issue of The Reformed Baptist Trumpet, the quarterly e-journal of the Reformed Baptist Fellowship of Virginia this morning. A final call to join us in Warrenton, VA for the 2011 Keach Conference, September 30-October 1, with Dr. Joel Beeke and Pastor Malcolm Watts. An extended article on "The New Calvinism" by Jeremy Walker. 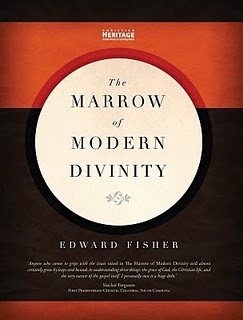 Book reviews by Jeff Riddle of recent biographies of Andew Fuller and John MacArthur. You can read the entire current issue online here and check out the archive of past issues online here. The Vision (9/22/11): Washing the feet of the saints and "holy conferences"
Image: Passionate conversation at CRBC with Dr. David Murray at the 2010 Keach Conference. Our midweek Bible Study yesterday was on John 13:1-17, the account of Jesus washing the feet of his disciples. In this passage Jesus tells his disciples, “ye also ought to wash one another’s feet” (v. 14). This led to a lively discussion of how we might practically wash the feet of the saints (i.e., serve and express love for the brethren, especially those within our local church). One thing that came up was the importance of having spiritual conversations when we gather on the Lord’s Day. No, there is nothing wrong with discussing the weather, current events, etc, but when we gather on Sundays our conversation also ought to be aimed at considering one another “to provoke to love and to good works” (Hebrews 10:24). The Puritans used to speak of having “holy conferences” on the Lord’s Day. We agreed that in general our church does a pretty good job at this. In fact, I mentioned that CRBC is the first church I think have ever attended where Sunday conversation does not involve a re-hash of college football! • What have you seen God do lately? • What do you feel good about right now in the spiritual area of your life? • Where are you having slow-going right now spiritually? • How is your _____ ministry going? • How are you doing with the spiritual disciplines (prayer, Bible reading, Scripture memory and meditation, worship, etc.)? • What’s the most meaningful thing that has happened to you since we last talked? • What’s the most important decision facing you in the near future? • Have you read anything lately that has helped you spiritually? • What’s something the Lord has been teaching you lately? • What was God communicating to you today in the Scripture reading and sermon? May we continue to seek ways to wash the feet of the saints. May we also redeem the time, especially in our Lord’s Day gatherings, to enjoy spiritual conversations that encourage and edify. Earlier in his book, Licona had suggested that some of the biblical material might be “poetic language or legend at certain points,” specifically mentioning Matthew 27:51-54 as an example. This is a very troubling argument. First of all, if we ever accept the fact that we are to explain what anyone in the Bible was doing when the Bible does not tell us, we enter into a trap of interpretive catastrophe. We are accountable for what the Bible tells us, not what it does not. Cleary Licona has drunk deeply from the wells of the historical-critical method. His interpretation of this passage is yet another example of what Greg Beale has called “the erosion of inerrancy” among contemporary evangelicals. Licona’s discomfort with the miraculous account of those who were raised (resuscitated) just before the resurrection of Jesus in Matthew 27 reminded me of another unconventional take on this passage presented by Craig T. Evans in the article “Textual Criticism and Textual Confidence: How Reliable is the Scripture?”, which he contributed to The Reliability of the New Testament (Fortress, 2011): pp. 161-172. Evans trumps Licona not by arguing that the first evangelist added this supposedly legendary detail as a “special effect” but by arguing that it was never part of the original text of Scripture to begin with. What is more, he makes this conjecture despite the fact that there are no extant texts of Matthew that omit the passage! Evans observes: “Although we have no manuscript evidence of which I am aware that suggests that these verses [Matt 27:51b-53] are not part of Matthew’s original narrative, I suspect that they too, were added to the text by an early Christian scribe, perhaps inspired by the Greek version of Zechariah 14:4-5….” (p. 166). Craig suggests this bold conjecture, because, like Licona, he finds the passage to be “puzzling” (p. 166). Licona thinks the passage is absurd, asking in disbelief, “Were they standing in the now open doorways of their tombs and waiting?” Evans, likewise, asks if they “loitered in their tombs until Sunday” (p. 166). Evans adds: “The addition of the story of the raised saints is chronologically clumsy and in my opinion does not reflect the literary skill of the Matthean evangelist,” so, he says, it may well be a “a scribal gloss” (p. 167). Both Licona and Evans demonstrate the poverty of Biblical interpretation under the influence of secular scholarship. If an account does not match up with one’s naturalistic worldview then it must be a legendary element added as literary device (so Licona) or even not a part of the text of Scripture at all (so Evans). Licona’s approach is a threat to the neo-evangelical construal of “inerrancy.” Evans’ approach is a more fundamental threat to the stability and integrity of the text of Scripture itself. Evans’ take also demonstrates where modern text criticism is heading. In the past, texts have been challenged due to variations in transmission (e.g., Vaticanus and Sinaiticus omit the traditional ending of Mark [16:9-20] so modern critics place the text in brackets or drop it to the footnotes). The brave new frontier of text criticism, however, is the elimination of passages from the text of the Bible based on theological persuasion, even when lacking actual textual support. Note: Gordon Fee has done the same with 1 Corinthians 14:33-35. Note: I preached Sunday morning on The Goodness and Severity of God from Romans 11:16-24. Here is part of the introduction in which I reflected on Paul's illustration of the olive tree. In our passage today, Paul is going to introduce one central and vivid illustration or image and it is that of an olive tree. In Biblical times—as it still is today in the Mediterranean world—the olive was, as one Bible dictionary puts it, “the fruit par excellance; either the fresh fruit or its oil found a place at every meal” (see Harper’s Bible Dictionary, p. 727). This same dictionary notes that the olive tree has a “characteristic gnarled trunk,” and it “thrives in the Mediterranean climate of hot, dry summers and cool, damp winters.” This tree is especially known for its heartiness and longevity. The article adds, “It can survive for a thousand years; some specimens are said to date from the Roman period.” It was used for food (Num 11:8), as fuel for lamps, as medicine (Isaiah 1:6), as anointing oil (1 Sam 10:1), in sacrifice (Gen 28:18; Lev 2:4), and its wood was used for furniture in the temple (1 Kings 6:23). In Deuteronomy 8:8 the Promised Land itself is described as “a land of olive oil and honey” (NKJV). No doubt olive trees were ubiquitous in the Mediterranean. So, this illustration would have been very familiar and accessible to Paul’s first hearers. 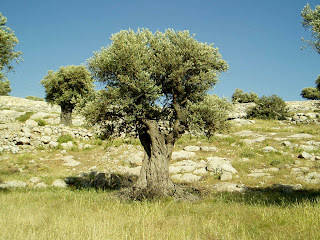 The olive tree was also a symbol of fertility and blessing. In Psalm 128, David describes the household where the wife is like a fruitful vine with children popping up like olive plants around the table. And, as we shall see, there are also some places in the OT where Israel is symbolized as being like an olive tree that God is tending. KJV Jeremiah 11:16 The LORD called thy name, A green olive tree, fair, and of goodly fruit: with the noise of a great tumult he hath kindled fire upon it, and the branches of it are broken. 17 For the LORD of hosts, that planted thee, hath pronounced evil against thee, for the evil of the house of Israel and of the house of Judah, which they have done against themselves to provoke me to anger in offering incense unto Baal. In Jeremiah the context is an announcement of temporal judgment against Israel. Because of idolatry, God will allow Israel to be humbled among the nations, defeated by her enemies, her temple and holy city to be burned, and many branches to be killed or broken off. KJV Hosea 14:4 I will heal their backsliding, I will love them freely: for mine anger is turned away from him. 5 I will be as the dew unto Israel: he shall grow as the lily, and cast forth his roots as Lebanon. 6 His branches shall spread, and his beauty shall be as the olive tree, and his smell as Lebanon. 7 They that dwell under his shadow shall return; they shall revive as the corn, and grow as the vine: the scent thereof shall be as the wine of Lebanon. Jeremiah writes of what will happen to Israel, before her exile. Hosea writes of what will happen to Israel after her exile. He will heal their backsliding. He will allow the branches to grow and spread and be beautiful “as the olive tree.” Jeremiah shows us the severity of God and Hosea the goodness (kindness). Now, Paul is going to take this everyday image and this rich Biblical image, and he is going to add a unique and inspired interpretation that expands on this image. Not only has God been pleased to break off many dead branches but he has now also been pleased to graft into this pure olive tree a number of wild and uncultivated olive branches. By this, no doubt, Paul is providing a vivid picture of the Lord’s sovereign purpose according to election to include Gentiles among the one people of God. The analogy, however, does not even end there, but Paul also indicates that the Lord may also be pleased at some future time to graft again into the olive tree some of the natural branches like those that had been cut off. In this discussion, Murray shares an anecdote from early in MacArthur’s ministry, as recounted in The Gospel According to Jesus. He once met a stranger who sat next to him on a plane trip. The man noticed MacArthur was reading a Bible and said to him, “Excuse me, you wouldn’t know how I could have a personal relationship with Jesus Christ, would you?” Amazed at this open door, MacArthur eagerly shared the gospel and asked the man if he would like to receive Christ as his personal Savior. The man replied, “I’d like to do that.” They prayed together and within a month the man had been baptized. MacArthur then explained, “I was excited about what had happened and eager to follow him up in discipleship. After a short time, however, he broke off contact with me. I recently discovered he has no continuing interest in the things of Christ” (see Murray, pp. 73-74). The story reminded me of Jesus’ parable of the soils (see Matthew 13:1-23). 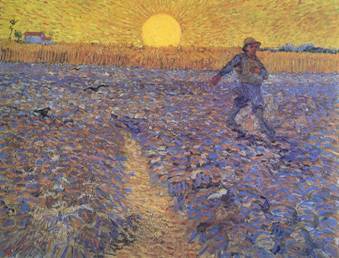 In that parable the Sower sows the seed of the word on four types of soil. There is the hardened path of the wayside where the seed is quickly gobbled up, the shallow soil of the stony places where the seed sprouts up but is then scorched by the sun, and the thorny soil where the sprout is soon choked by “the care of this world” (v. 22). Finally, there is the good ground where the seed grows and bears fruit. Jesus explains that this good soil “is he that heareth the word, and understandeth it; which also beareth fruit, and bringeth forth” (v. 23). How do we know if we are truly saved? We know we are saved when we see Jesus exercising his Lordship in our lives. As one has said, good works are not the root of our faith, but they are the fruit of our faith. In another place in Matthew the evangelist records that Jesus taught, “he that endureth to the end shall be saved” (10:22). May we continue to persevere under the Lordship of Christ, bearing fruit for the kingdom. A few Saturdays ago we took a family trip over to Schuyler (just c. 20 minute drive from our house) where you can visit the restored Hamner home, the Walton’s Mountain Museum, and Ike Godsey’s store. Images: Outside the Hamner house in Schuyler, Virginia. Image: Some commentaries on my new shelves. Davies was not afraid of study. He never spent less than four days on preparation of any sermon worthy of the name. 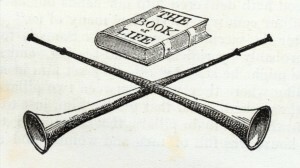 He wrote to his brother-in-law in Williamsburg: "I have a peaceful study, as a refuge from the hurries and noises of the world around me; the venerable dead are waiting in my library to entertain me from the nonsense of surviving mortals." Nevertheless when the Son of man cometh, shall he find faith on the earth? (Luke 18:8). A group of CRBC friends enjoyed a field trip yesterday afternoon to the Providence Presbyterian meetinghouse in Louisa County, Virginia. It is one of the oldest houses of worship in the United States. The plain and simple building stands in a clearing off Three Chopt Road in Gum Spring. From a distance it looks more like a house or a barn. The meetinghouse was built c. 1747. The interior still reflects the simplicity of a Reformed worship space, though later generations have added an organ and piano and a cross on the wall behind the pulpit that would not have been there in colonial times. The heartwood pine pulpit, benches, floorboards, ceiling, and gallery (as well as the hand-made nails that hold them together) are all original, though they have been re-planed with padding added to the benches and some carpet to parts of the floor. The building was only wired for electricity c. 1948. This is one of the places where the famed Samuel Davies (1723-1761) preached. He had charge over fourteen separate meeting houses in six counties in this area, where he ministered the word. I commend to you an excellent biographical message by T. T. Ellis on the life of Samuel Davies on sermonaudio that came from a 1983 Banner of Truth Conference. You can also read articles drawn from the manuscript of this lecture. 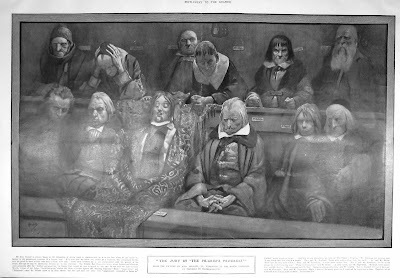 Davies was the first "dissenting" minister (i.e., outside the Church of England) to be granted a license to preach by the colony of Virginia. His pioneer work in preaching the gospel led to his being called "The Apostle of Virginia." Davies left Virginia in 1759 to become President of the College of New Jersey (now Princeton), filling the vacancy created by the death of Jonathan Edwards. He only lived for another eighteen months after arriving at Princeton, however, and died in only his 37th year. Davies was succeeded in his pastoral charge in Virginia by Rev. 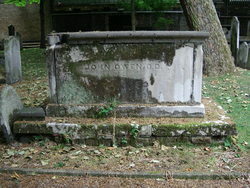 John Todd who opened a classical school in which both James Monroe and James Madison studied. Providence church was also the congregation in which Reformed theologian R. L. Dabney (1820-1898) grew up. About a hundred years after Davies had filled Providence’s pulpit, Dabney served his home church as supply minister, giving him his first experience in pastoral ministry. 1. Awe and gratitude at the way the Lord raised up ministers and churches to preach the gospel in days of old. 2. Challenge and exhortation that we would be faithful in preaching the good news in our generation. Images: Monuments to Davies and Todd. Image: Interior view from the gallery. Image: Silver common cup and bread plate for the Lord's Supper dating from the early days of the church. Image: Graffiti in the gallery. Image: Some CRBCers outside the Providence Meetinghouse. We’ve been reading a few pages from Pilgrim’s Progress each evening in our family devotions and recently reached the part where Christian and Faithful travel through Vanity Fair. When Faithful is arrested and put on trial, one of the charges against him is brought by a witness named Superstition, who is outraged that Faithful has charged the residents of Vanity with vain worship. 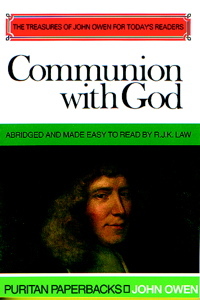 Faithful responds, “I said only this, That in the worship of God there is required a divine faith; but there can be no divine faith without a divine revelation of the will of God: therefore whatever is thrust into the worship of God, that is not agreeable to divine revelation, cannot be done but by human faith; which faith will not be profitable to eternal life." I previously posted a quote from Owen’s Communion with God in which he stated that God loves the saints even while they are sinning. To preach free grace one will always run the risk of the charge of antimonianism. In following this up, Owen makes clear that he is not advocating antinomianism. Objection: If this is so, why do we need to repent and amend our ways? Why not go on sinning, so that grace may about? Answer: I judge no-one. But this I must say, I do not understand how a man could make such an objection in cold blood. Can such a person know anything of true fellowship with Jesus Christ? Communion with Christ produces repentance. When a person really sees the vileness of sin and what it cost Christ to bear it away, will he still want to continue in sin? Communion with Christ produces obedience…. If the gospel is properly preached, the objection ‘shall we continue in sin that grace may abound?’ will always be raised. But Paul says, ‘God forbid!’—and then explains why not (Rom. 6) (p. 145). Got a chance to listen to them this week. Wow! These presentations are powerfully stimulating and challenging. Highly recommended. 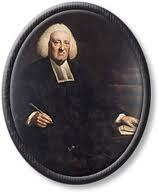 Ferguson first lays out the issues in the early 18th century "Marrow Controversy" in Scotland over free grace. He then give one lecture each on the errors of legalism and antinomianism. He makes the point that these are not opposites of each other, but both are the opposite of free grace. On "experimental legalism" Ferguson notes, "We all know it is possible to have a legal head and legal heart, but it is also possible to have an evangelical head and a legal heart." He gives this definition of legalism: "Legalism is any teaching which either distorts the free grace of God in the gospel or distorts the true nature of God's grace in the law, or even fails to place the gracious law of God in its proper place in redemptive history." One the low view of the moral law in the ten commandments (particularly the fourth commandment): "Many have replaced the Decalogue with the 'Novemalogue.'" Antinomians love this doggerel: "Free from the law, what a blessed condition, I can sin all I want and still have remission!" 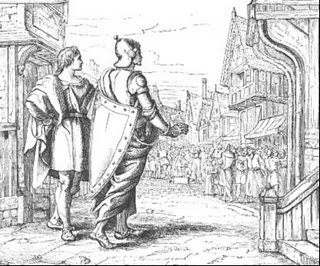 Ferguson make a compelling appeal appeal to the Parable of the Prodigal Son, presenting the prodigal as an antinomian who became a legalist (I will return to my Father and be a slave to him) and the elder brother as a legalist tempted to antinomianism (Why did I not get the benefits of the Prodigal?). Whenever I travel or deploy, I usually do so with a bit of trepidation when I know that I will be away on the Lord’s Day. However, during my recent trip to Germany, I was blessed with an opportunity to worship with brothers and sisters in Christ at the Freie Baptisten Gemeinde Heilbronn, the Free Baptist Church of Heilbronn. Before I tell you about the congregation, I want to give you some basic background on the church in the land that birthed the Reformation. The German “Christian” community is divided into “state” churches and “free” churches. The state churches consist of both the Roman Catholic Church and the Evangelical Church in Germany (not to be confused with American evangelicalism; it is a confederation of churches that is the equivalent of our mainline Protestant churches) which are both endorsed by the German government. As a matter of fact, the government automatically collects a church tax (Kirchensteuer) from income to support the state churches (based on the individual’s official affiliation). The “free” churches are Protestant groups – primarily Baptist, Methodist, and Pentecostal – that are not officially supported by the government. The Free Baptist Church in Heilbronn (hereafter, FBCH) is one of only a handful of Reformed Baptist congregations in Germany. FBCH began approximately 30 years ago as a typical evangelical Baptist church founded by a group of families from the U.S. Army community stationed at Heilbronn (which was deactivated in the years following the first Gulf War in 1991). 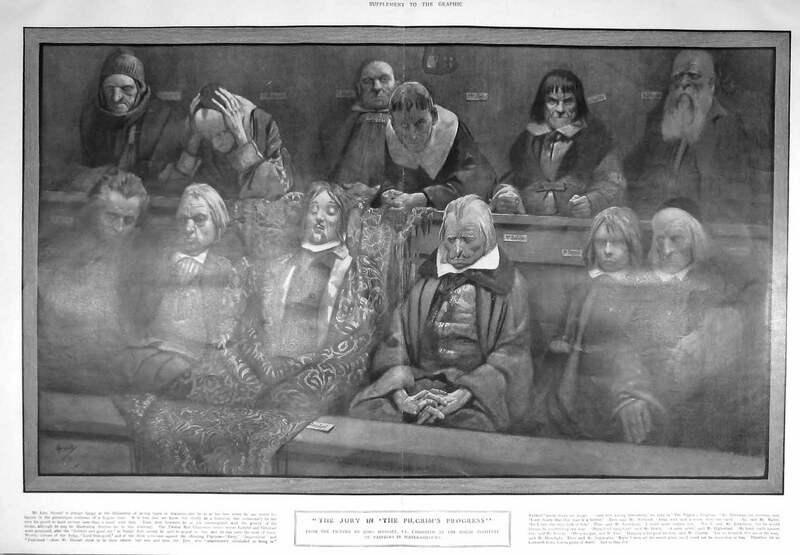 This particular congregation became a confessional (2nd London Baptist Confession of 1689) Reformed Baptist church under its previous minister who became convinced of the truth of the doctrines of grace after attending a conference led by Dr. Peter Masters of the London Metropolitan Tabernacle (Spurgeon’s church). In the last 20 years, the congregation has transitioned to a largely German population with several expatriate Americans and maintained an American pastor for most of that period. Pastor Johan Van Wyk, along with his wife Susanna, was called to the congregation just over three years ago from South Africa. The fact that they had to look outside of Germany points to the difficulty our brothers and sisters have in establishing, maintaining, and building a Reformed Baptist witness in Germany. This also presents a unique challenge. While CRBC may struggle financially as a relatively new congregation, we don’t have to worry that our pastor will be deported by the government if his income ever drops below the required level to maintain a valid work permit. Three months ago they were not sure they would have sufficient income, but the Lord has graciously continued to provide! Like CRBC, the membership of FBCH is small – only 24 members – and they have an average attendance on the Lord’s Day of about 50. They currently meet in a rented facility with an attached apartment for the pastor and his wife. They have morning and evening worship services – the former in German and the later in English. Although they have significantly fewer Americans now, they regularly have visitors from around the world who are seeking to worship at a Bible-believing church with an English service; during my visit there were other visitors from India and Nigeria. As a result, they translate both services (either into English or German). I was there on the first Lord’s Day of the month when they have a fellowship meal following the morning service and don’t hold the evening English service. However, we sang at least one verse of each hymn in English, and I struggled mightily to recall the German I studied 18 years ago as I listened to the sermon with the headset volume turned down so that I could hear the preaching while sitting with a German Bible open on one knee and my English Bible open on the other. The meal was a wonderful time of fellowship getting to know several of the English speakers and telling them about the work the Lord is doing in the life of CRBC. 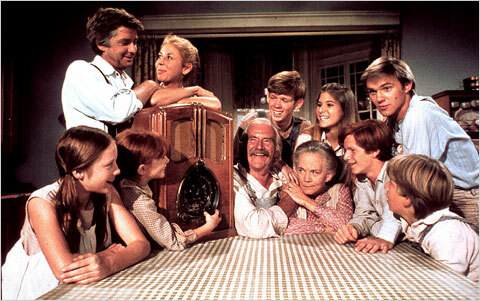 Following the fellowship meal, the Van Wyks invited me to their apartment for a “short” visit. Those of you that have heard about my “lunches” with Pastor Riddle won’t be surprised to know that I didn’t leave until 10pm - and I still had an hour long drive back to Stuttgart! • For continued financial provision so that Pastor Van Wyk can continue to minister to the congregation. • For success in outreach opportunities. They are often met with a great deal of hostility and are verbally abused whenever they go out locally just to hand out Gospel tracts. • For the Lord to add men to the congregation. They currently have only a handful of male members and no elders or deacons. • For the Lord to add families to the congregation. While there were approximately 30 people in attendance (this was the summer holiday period with many folks away), there were only two young children and an infant. They have very few families in membership, and few of those families have children. • For wisdom in dealing with church discipline issues. In Germany, the government can shut down a “free” congregation merely over the complaints of disgruntled former members. • For fellowship opportunities with like-minded congregations. They are not affiliated with any associations, have no relationships with other local “free” congregations, and they are quite a distance from one of the other Reformed Baptist congregations. • For additional hymns that are doctrinally sound and translate well into both English and German. Dr. Van Eyk found that many of the hymns used in the broader evangelical community in Germany are not Trinitarian but more in line with Tritheism. He said that many in the evangelical church do not hold to an orthodox position of the Trinity. • For German believers who homeschool or want to homeschool their children. It is illegal for Germans to homeschool children. Dr. Van Wyk and I had brief discussion on the ethical implications of German Christians who are basically living in hiding in order to homeschool their children. If you would like to learn more or to hear an English sermon by Dr. Van Wyk, please visit their English website. Lord willing, we’ll be able to establish an informal relationship between our two congregations, and I look forward to visiting with them again on my next trip to Germany. Once your eyes open to the grace-code in Scripture you see it on every page. The formula for salvation is not God’s grace plus our works equals salvation. In gospel math it is only grace plus nothing equals salvation. We can be just as pharisaical as the most pharisaical Pharisee of the Christ’s day. Paul makes this clear for those who still don’t get it in v. 6: “And if by grace, then it is no more of works: otherwise grace is no more grace….” This is a verse I so want to share with my Arminian friends who somehow do not see the contradiction when they say, “I believe that salvation is conditioned on my free will response to Christ, but I still believe in God’s grace and his sovereignty.” Do they not see that they have not only watered down Biblical grace, they have washed it away? “And if by grace, then it is not more of works; otherwise grace is not more grace…” A few Wednesdays ago we were looking at the account of the raising of Lazarus in John 11 and discussing it as a picture of salvation. Lazarus did nothing to raise himself. Dead men cannot even extend their hands to receive a gift! Biblical salvation is not about beggars extending their hands to get alms; it is about dead men coming to life! The second half of v. 6 further emphasizes the point, though modern translations wrongly remove it: “But if it be of works, then it is no more grace: otherwise work is not more work.” Let’s call a spade a spade, Paul is saying. Let’s call a work a work. Let’s not hide behind pretty words. Do you think you can save yourself or do you understand that if any man is saved it can only be due to the work of God alone? Only he can reserve to himself those who bend the knee at the cross of Christ and not to Baal. Let me challenge you to be a Berean. Sit down and read the NT and mark each time the emphasis is on free grace. Rightly done you will nearly mark down every line and every word on the page.